Energy Hippo provides the best energy management software for businesses. Our energy monitoring software promotes efficient billing practices and business operations for large energy users. Our intuitive, web-based platform allows you to design and execute energy management strategies that reduce your energy usage, costs, and greenhouse gas emissions. Our energy management software empowers large energy users to create efficient billing practices and business operations. By combining billing data and meter data with our utility-grade rates engine and rate library, we can automate the process of cost allocation, bill validation, budget creation and tracking, and more. Our energy management software provides a sophisticated engine that is used by small and large customers to allocate costs and effectively re-bill their tenants. We work directly with you to create the most efficient and effective software solutions in energy management. With 15+ years of experience implementing energy management software, our team knows how to manage and deliver exceptional solutions. 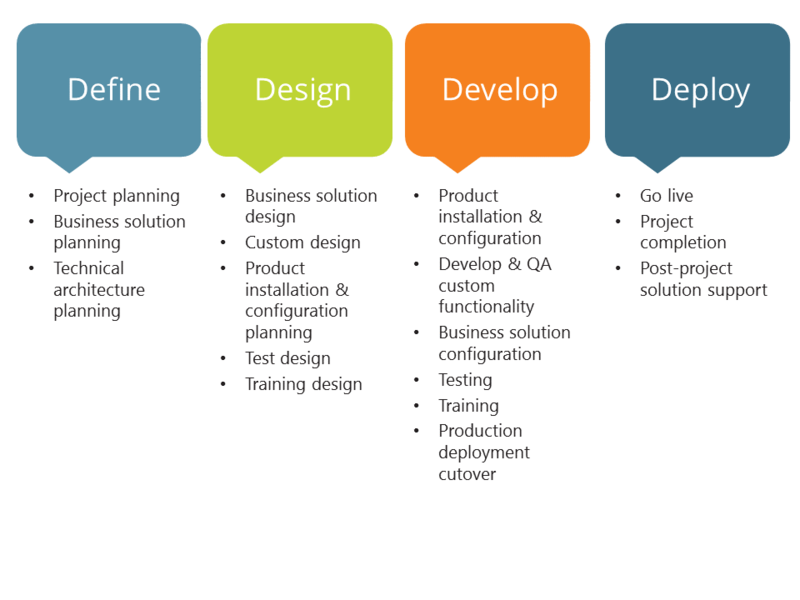 Our methodology is structured by phases, high-level activities (define, design, develop, and deploy), and events (e.g. project planning). Events are used to facilitate and guide the implementation through a set of logically grouped activities, tasks, and deliverables. This structure has been built and refined during our 15 years of implementing enterprise energy management solutions. Our process is designed to be thorough and comprehensive, while at the same time flexible and scalable. For each event, there are a number of identified activities/tasks and deliverables. When planning for the project, the project manager will review these items and customize the project plan to meet specific needs.